During this elective students are introduced to physics principles of motion as they relate to car crashes. Understanding these principles will allow them to gain new perspective on the importance of various structures and restraints used to engineer safe cars. Vehicle mass and size will also be investigated and integrated into the ultimate challenge – to engineer a car that will safely deliver a raw egg passenger to its destination. 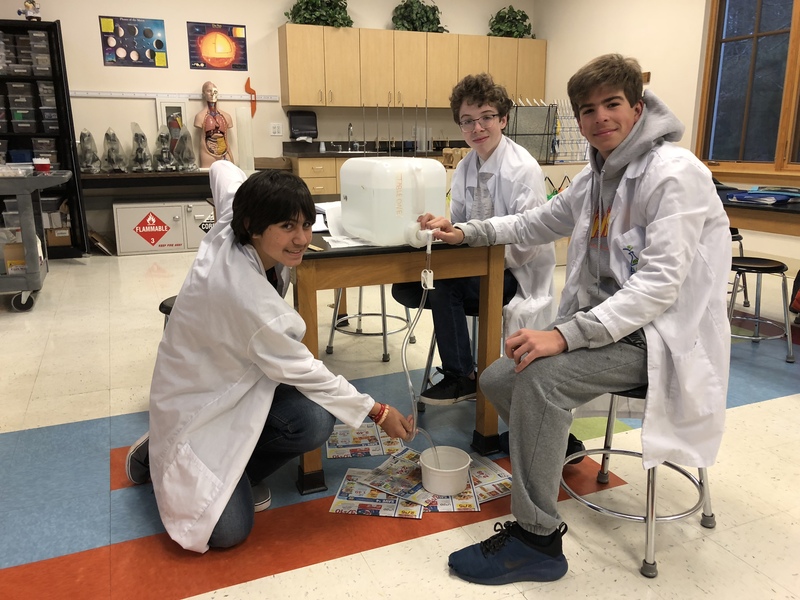 The image depicts students as they work on perfecting the ratio of chemical reactants in their airbags. The impulse provided by the airbags will eventually be used to help save the lives of their raw egg passengers. Seventh grade spent some time in class applying their knowledge of the Periodic Table through Periodic Table Battleship. They positioned and located their ships using challenging information such as mass numbers, subatomic particle numbers, isotopes, and much more! 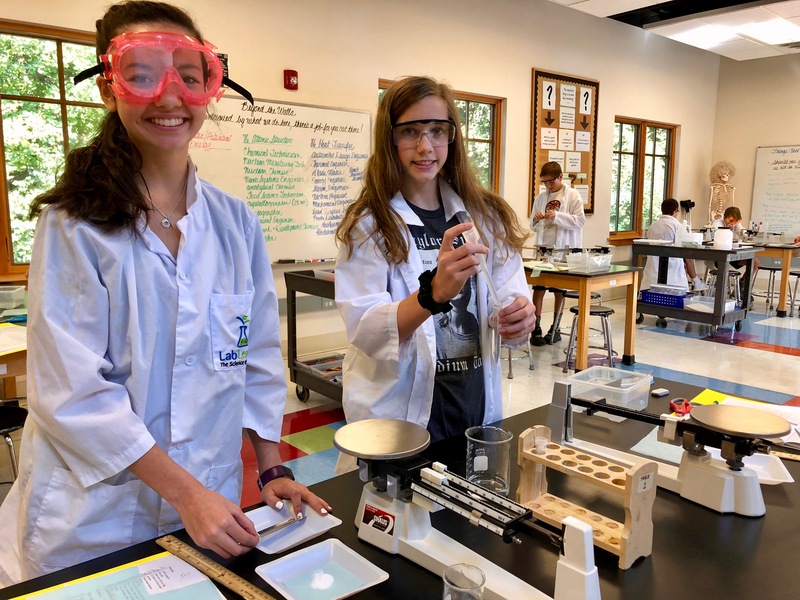 This Core Experience Learning Lab (CELL) gives students the opportunity to investigate chemical reactions and the principles that govern the consumption of reactants, the production of products, and the dependence of creation rate on reactant concentration. Students will also delve into a bit of high school chemistry as they learn how to balance chemical equations. 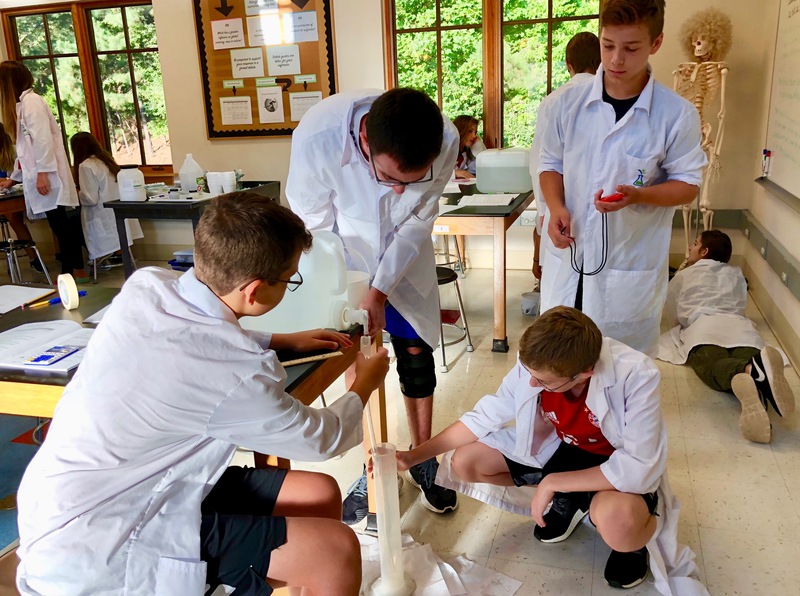 During this Core Experience Learning Lab, students will perform experiments to model the structure and function of watersheds. They will look at the effects of water velocity on discharge, sedimentation, turbidity, and dissolved oxygen content in watersheds. They also will explore the effects of salinity and water temperature on the dissolved oxygen content of water. We kicked of our first Core Experience Learning Lab (CELL) by creating a non-Newtonian liquid – slime! Students will cycle back to the chemistry behind this fun polymer as they gain knowledge via the Atomic Structure CELL. 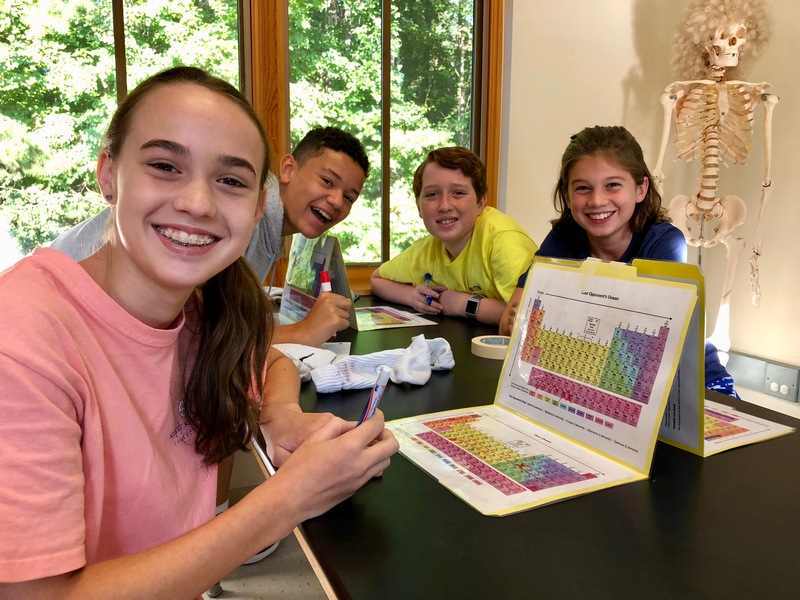 Various labs will give students the opportunity to investigate what makes elements different and how the groupings of the Periodic Table denote physical and chemical properties of the elements. Converting energy has never tasted so good! 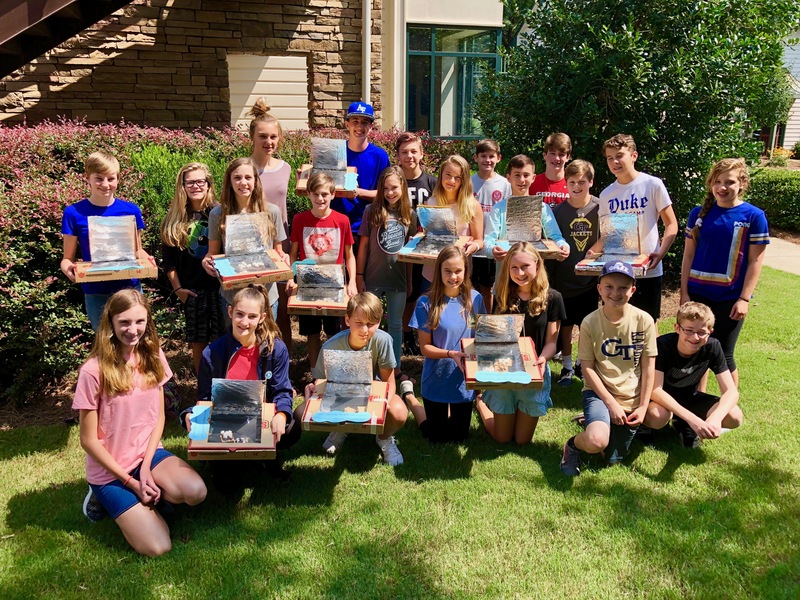 Before moving into our formal curriculum, students engineered solar ovens then used the heat generated by photons (light particles) to warm up tasty s’mores. This experience was the perfect lead into our first Core Experience Learning Lab (CELL), Heat and Heat Transfer. This CELL gives students the opportunity to investigate the relationship between heat, thermal energy, temperature and the physical changes in matter that accompany the transfer of heat. Students will investigate the expansion and contraction of a liquid when placed in environments that differ in kinetic energy. They will calibrate their own thermometer and discover why temperature is a measure of the average kinetic energy present in an environment or substance. 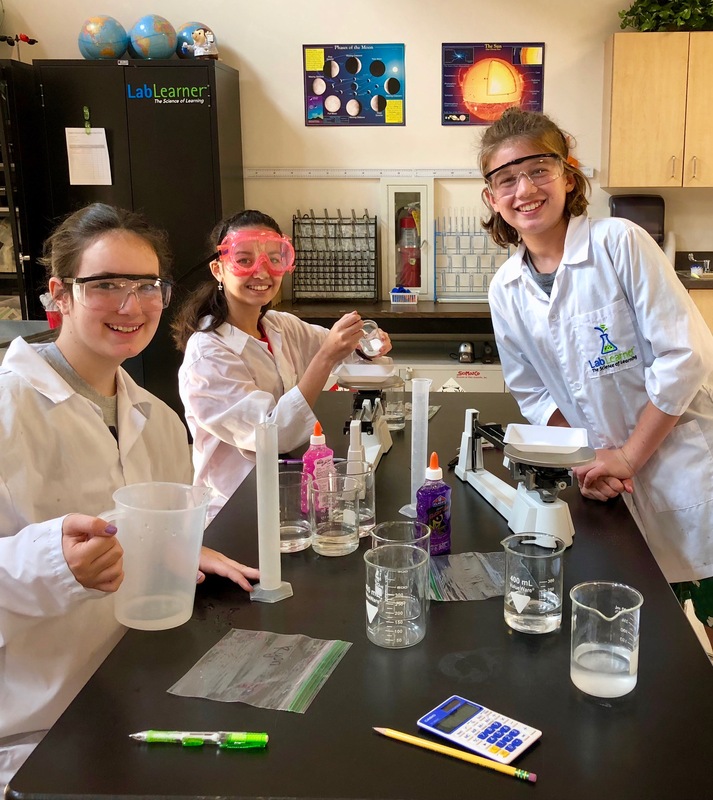 As part of their experiments, students will also investigate the freezing and boiling point of water, discovering that the addition of a solute can change both water’s freezing and boiling point. Finally, students will quantify the amount of heat that is absorbed by a solid and calculate the amount of heat that the solid can transfer. 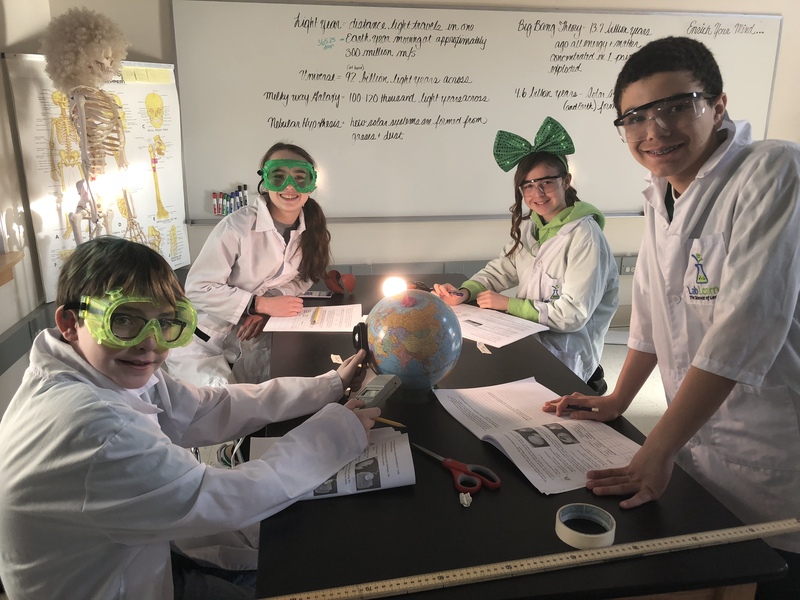 By investigating the position of the Earth and Sun and the tilt of the Earth, students will begin to conclude that the light and heat energy that reach Earth are directly related to the angle at which sunlight reaches Earth. They will also understand that a geographical region on Earth experiences night and day when that area is turned away from or toward the Sun, respectively. Students will model the relationship between the Sun, Earth, and Moon. Through analysis of they model, they will realize that the position of the Moon in relation to the Earth and Sun causes us to view the Moon in different phases. 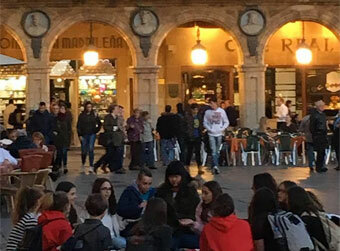 Throughout models and simulations, students will also find that the orbit of the planets around the Sun is affected by two factors, the forward motion of the planets and the gravitational pull of the Sun. Likewise, the orbit of the Moon around Earth is affected by the forward motion of the Moon and gravitational pull of Earth. From these models and experiments, students will begin discover that many of the occurrences we observe in outer space come as a result of the motion of the planets, Sun, and moons, as well as from the forces that govern motion. 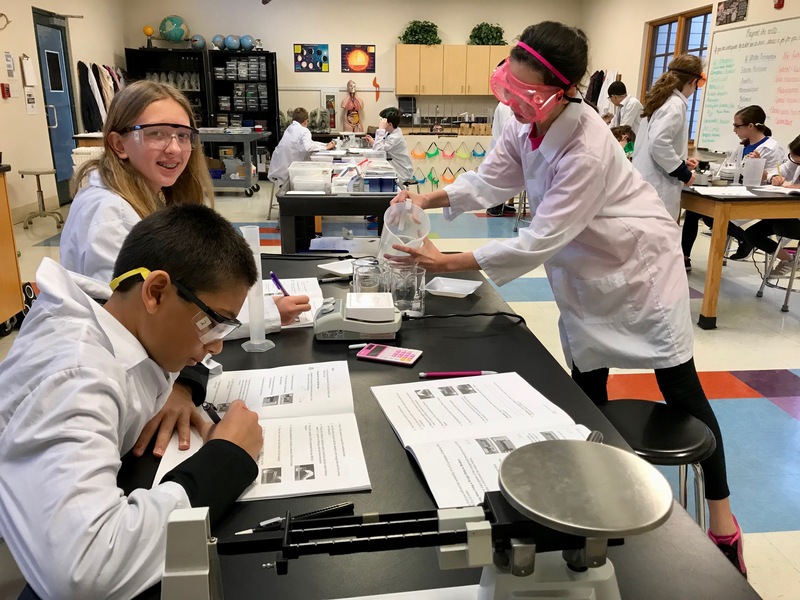 This Core Experience Learning Lab (CELL), students are introduced to the physical property of solubility, the difference in solubility of different compounds and the effect of varying condition on solubility.